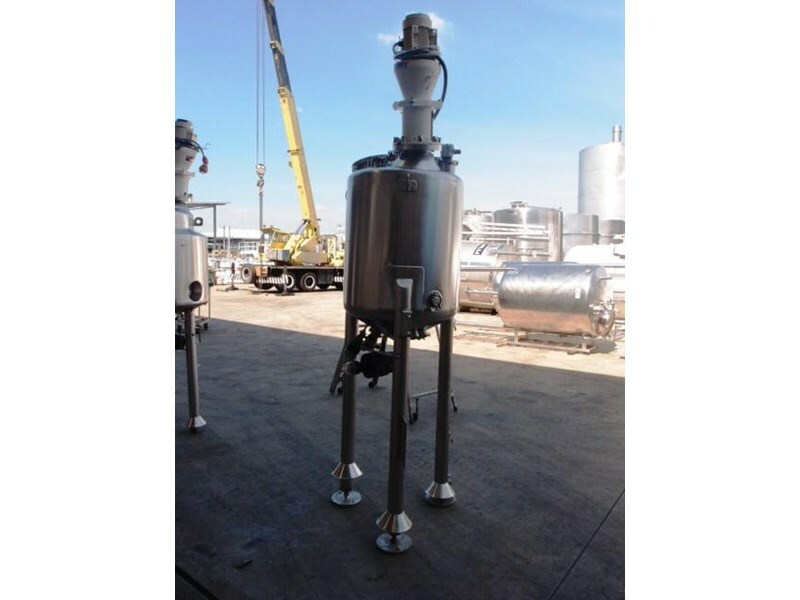 Stainless Steel Mixing Tank (Vertical), Capacity: 250Lt, Dimension: 700mm Dia x 850mm H, Brand: NDA Protech. 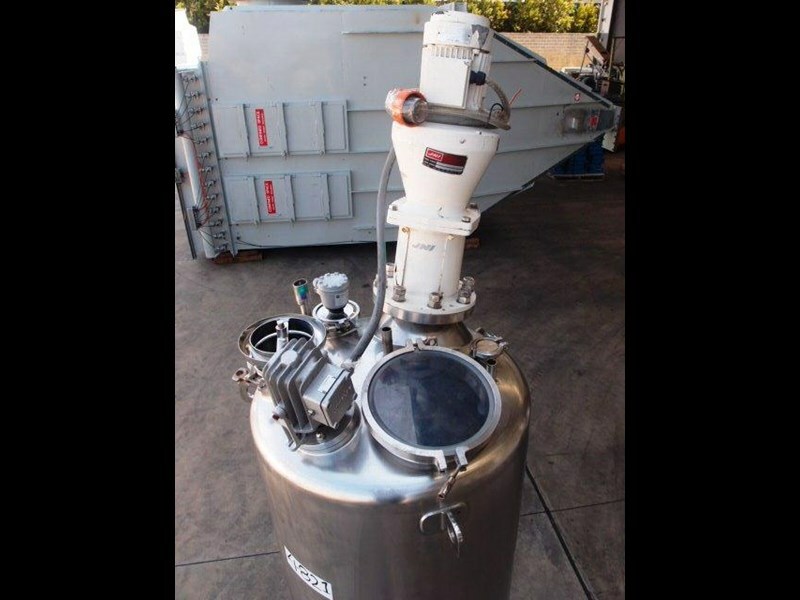 Unit is a stainless steel mixing vessel and capable of taking vacuum & slight pressure. Vessel Working Pressure: 7 KPA. Vessel has dished top with clamped perspex manway. Glass inspection port with light. Top offset electric geared agitator (0.55kw, 415V). Conical bottom with 50mm dia center discharge. 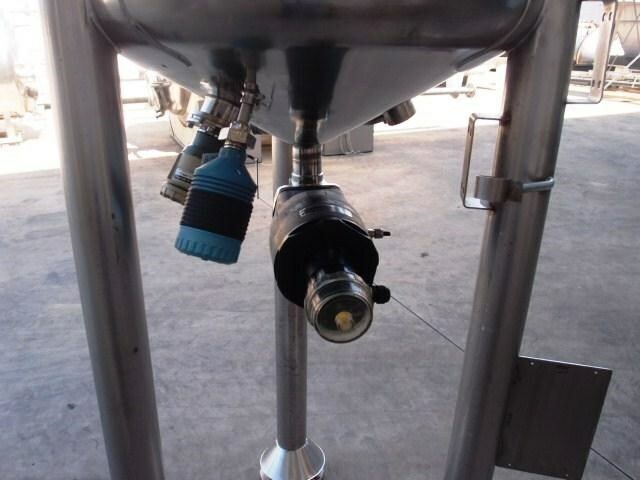 Valve and various instrumentation fitted to the vessel. 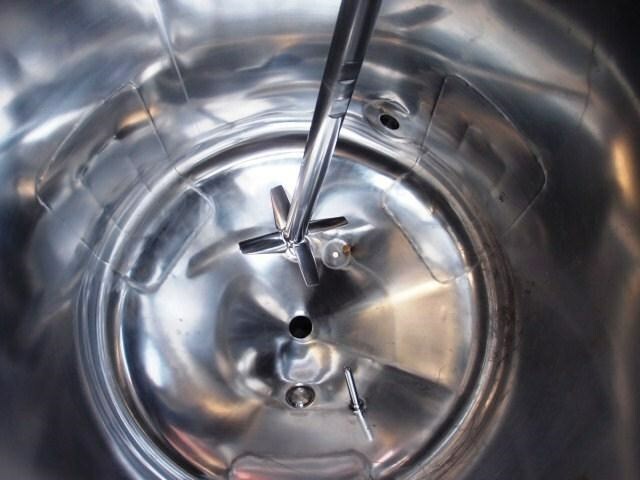 Vessel is internally polished and of a pharmaceutical standard. 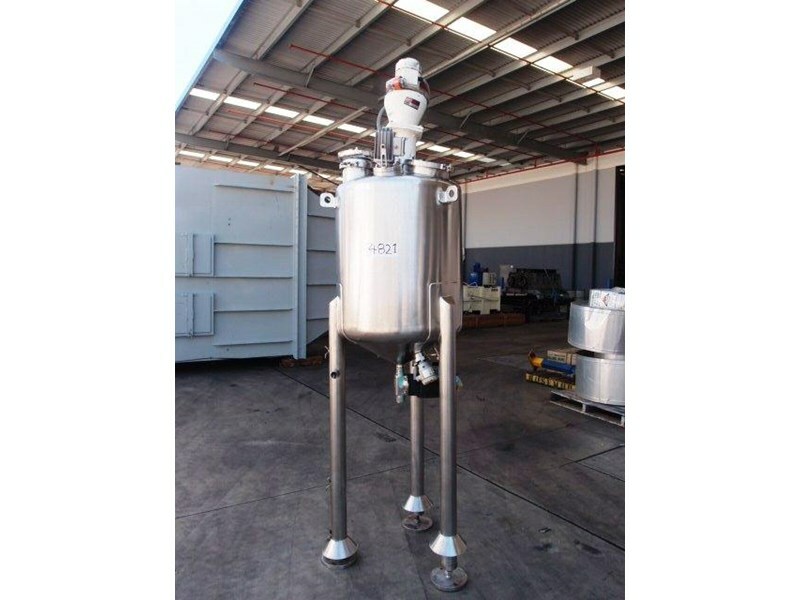 Stainless Steel Jacketed Mixing Tank, Capacity: 3,500Lt, Dimension: 1430mm Dia x 2200mm H, Brand: NDA Protech.